We have now jumped into 2018 and the last event has run it’s course. You started the year with training in Tenerife before going to the first events in Asia. DB: Tell us about the events in Asia, now 8 months later..? JQ: I arrived Korea with a good mind and physically ready. We were not lucky with the weather, I managed to get to the final in Korea but unfortunately, we could not validated the final after having tried 15 starts. I arrived in Japan on a new spot with an irregular wind in force and direction and seaweed, it was very complicated to sail and to make a good heat, the riders was sailing between 8.4 and 9.6 and for some 10m sails, because there was wind but with the uneven wind in force and direction. I sailed all my heats with 9.2 o that if I should catch some week I would have enough power in the sail to jump it of the fin. DB: Do you feel that the training in Tenerife helped you be better prepared? JQ: Yes Tenerife and a great spot for training in slalom and wave before the session. DB:After the Asia events, you went on a travel? 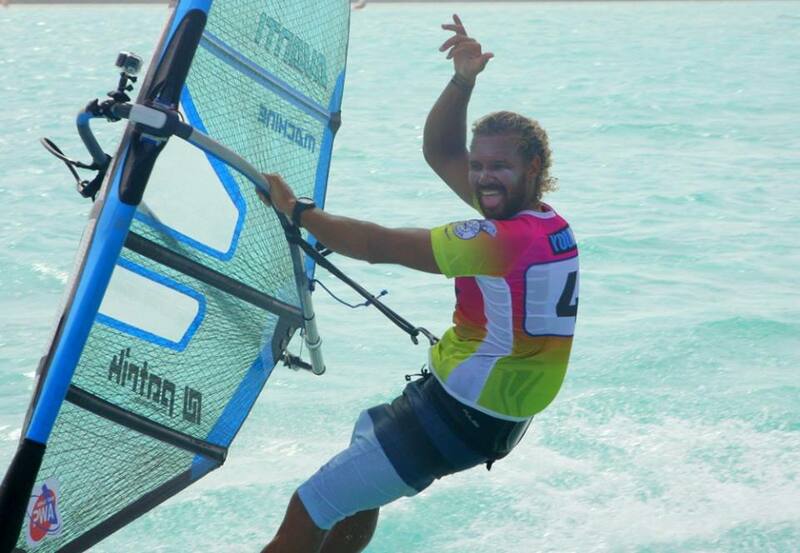 JQ: After the Asia I’m went to do some promotional events in the Caribbean and one in Tahiti, I’m went to Bonaire for the Wind Caribbean Challenge and Sorobon Master and the Dunkerbeck Speed I have a great experence the spot and beautiful great atmosphere with wind. I returned to France 2 days to go to Tahiti for a promotional Tahiti freeride cup with super-exceptional waters surrounding the island. DB: Come Spain, Costa Brava to be exact. Looking back where there things you could have done differently? JQ: Costa-Brava is very hard for me. I don’t have good filling and not finding my speed. I crash 3 times with Maciek and once with Kurosh. 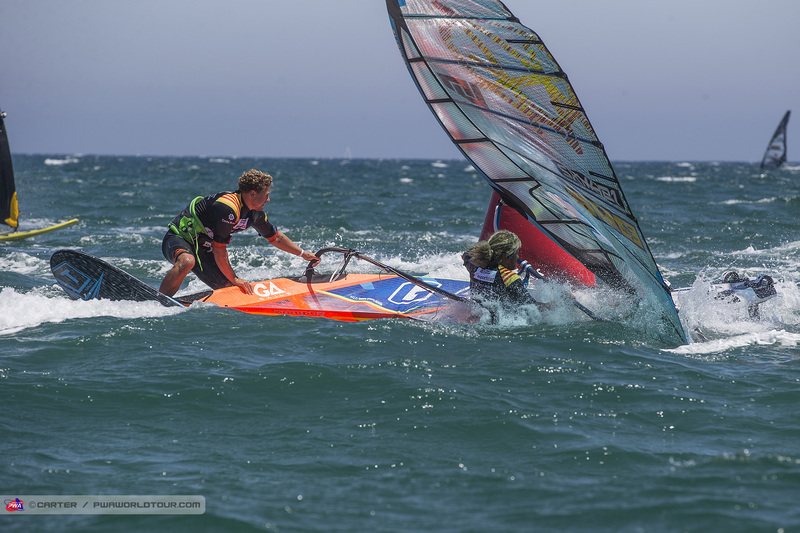 No rules is ok for me, but dangerous windsurfing is not good and the PWA close the eyes. I go to the comity in the beach to tell the PWA that they need to put out a warning. They do not listen to me, so I get louder and start to get angry. In the end they tell me NO-Rules and I get a 250 usd fine for complaining! DB: Fuerte, again a nuking event with a decent result for you. In these strong winds what do you think is key to win? JQ: Fuerteventura and a great vent in the wind I love my gear in the strong wind, I have to be more aggressive in the start, down the first leg and in the jibes. 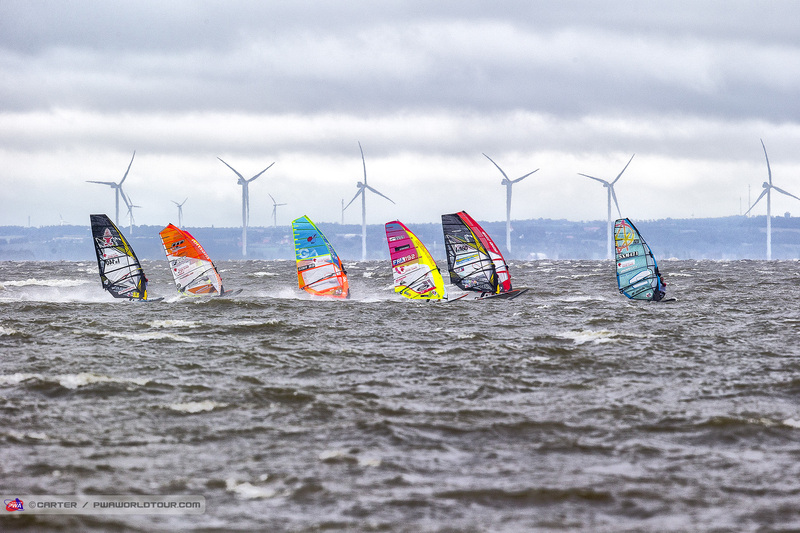 DB: Denmark this year was epic, tell us about the event and your results. JQ: Good condition in Denmark where I used all my equipment, I did 2 mistakes and I fell to the jibes with me big gear and I got grilled the starting line. With my small gear I was so good with ease. 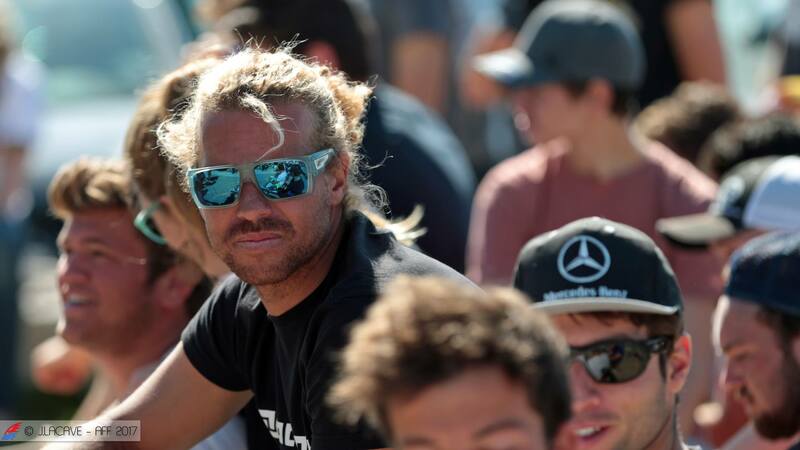 DB: Sylt was again a grand slam, but only very little racing done. How do you feel about sitting around for so long when there is wind? 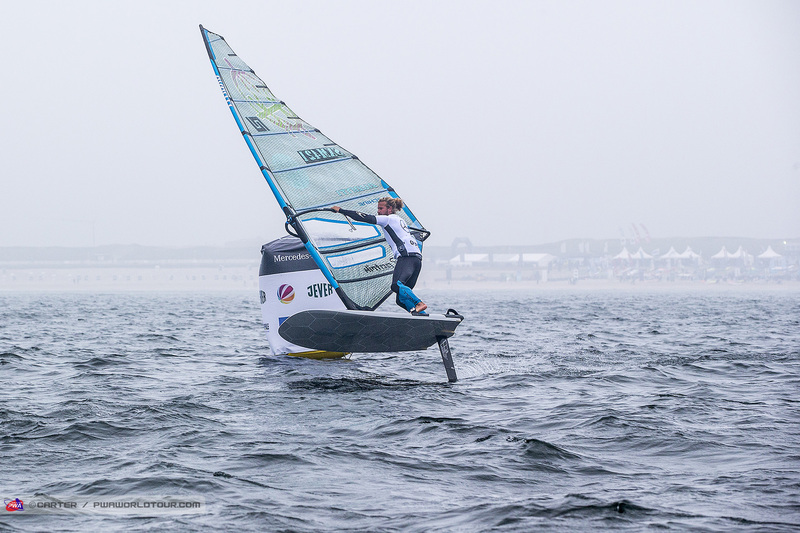 JQ: Sylt is an event that I like because of the difficult conditions with the wind, the swell and the cold. This year the sea was very rough, so I spend a lot of time tuning my big gear at the beginning of the event, because in Korea, Japan, Costa Brava, and Denmark it had been super flat water. However I quickly I saw that I was badly tuned with too much power. I did not manage to adjust during the race and did badly. 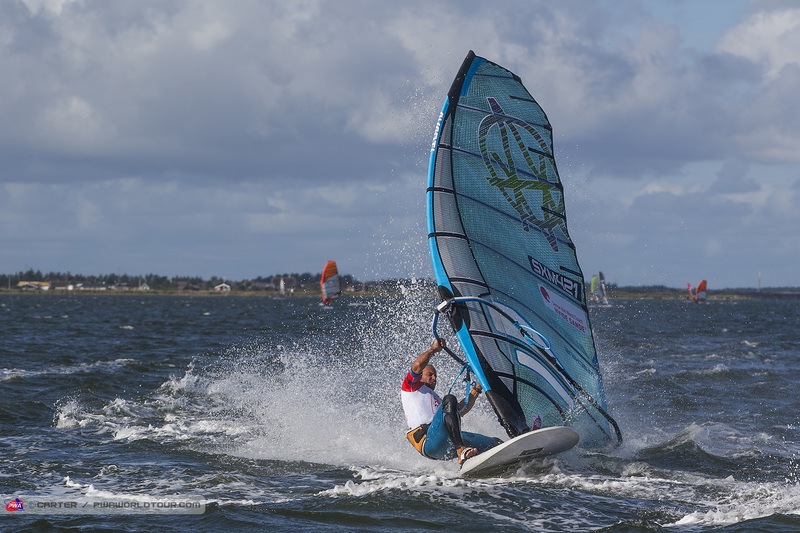 JQ: Sylt was my first PWA foil event. I got a good start, I stayed focused throughout. The previous foil competitions I did before I had never sailed larger than 7.7 or 8.4. In Sylt in the first race I use 8.4 which I change and take 9.2 because we have really sailed in light and difficult conditions. with a round of 3rd and a 2nd I take the lead of the event and win the overall. DB:Last event of the year was New Caledonia. You went almost a month early. How do you spend your time on a topic island?? JQ: The New Caledonia is a super event. I arrived early because the tickets are really expensive with 2400 € plus the bags it really has to pay of. 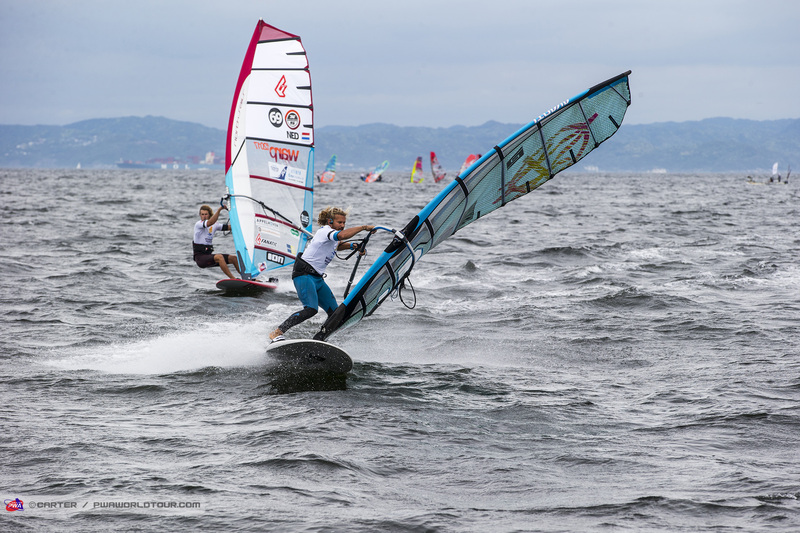 I trained more in foil because I wanted to keep my boards and slalom sails at the top, so I planned to train in slalom just 2 days before the event. For me this event is one to forget. Nothing went good, as I started out with breaking my 115 AI Patrik. unfortunately I have no second board as travelling to NC is too expensive excees the luggage 200 € Bag 23Kg. 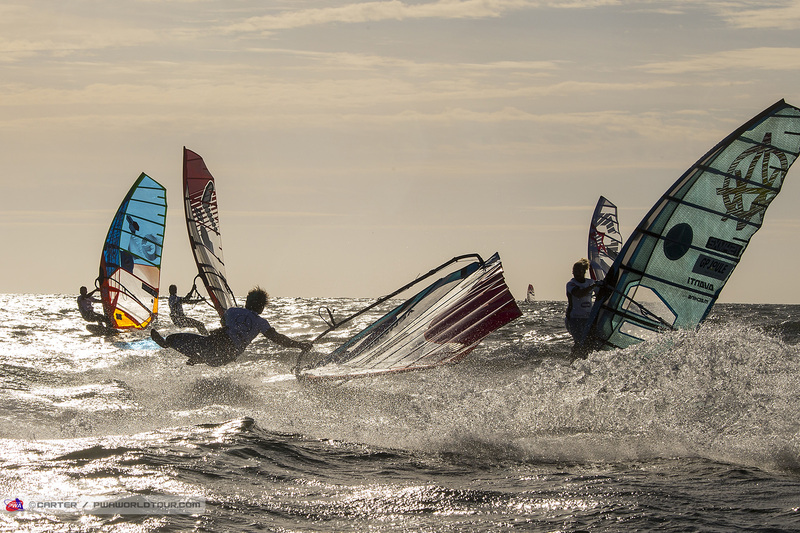 I came in NC with 3 slalom boards, my Foil and 4 sails wish and masts which cost me € 900. To have the double gear it would have cost me € 1800 + € 2400 ticket + € 250 Airport parking paris = € 4405 to come and do the PWA Noumea . DB: Do you feel that your prep work for this event paid off? JQ: When we enter a series of bad luck there isn’t much to do.. I broke my 115 air inside and I found a 115 on the spot in New Caledonia, but a normal construction board from Thailand so all my usual settings were useless. DB: Looking back at the year, you have had some massive results but also some not so great results.Does that make you reflect, consider changing your prep for next season? JQ: I feel really good about my equipment I have a good feeling and I love sailing in strong winds. AVANTI / PATRIK is a really a good combo for me. 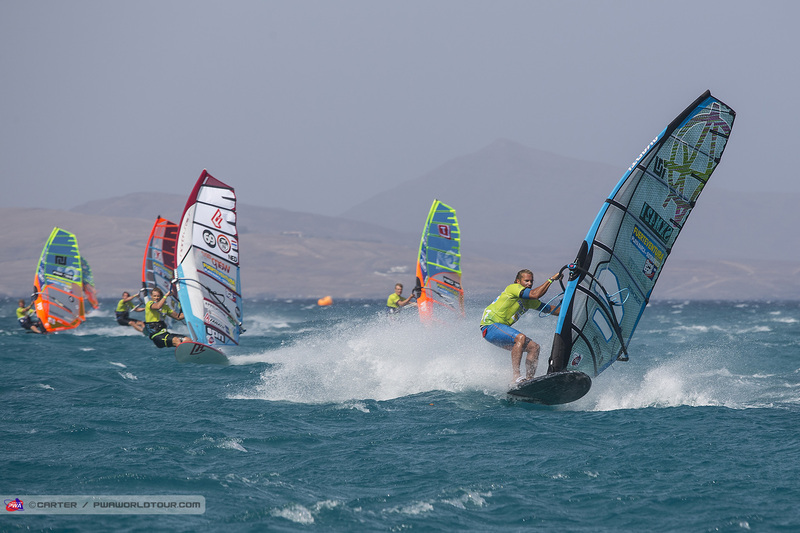 I sail using less of my own power than I used to on other gear, something which has allowed me to win a round in Fuerteventura with my M5 5.6 and 95 slalom and Japan with my M5 9.2 and 140 AI Patrik. This year I did not work enough on my gear it penalised me all year. 2018 I am working a lot more on my equipment and will arrive at the first PWA 2018 ready to kill it. Do you feel you have some things in particular which you need to work on for next season? JQ: I am weak in my starts and down the first reach in slalom and this is something which I will work very focused on for the 2018 season. I will be in Tenerife to get the training I need before the season.